Any one done this ?, if so how was it ? Yes my wife and I did it 2 years ago. We had a fantastic time, so good in fact that we are doing it again, backwards, in June this year. We booked several various hotels and B&B spots and split the journey over 5 days/ 4 nights. 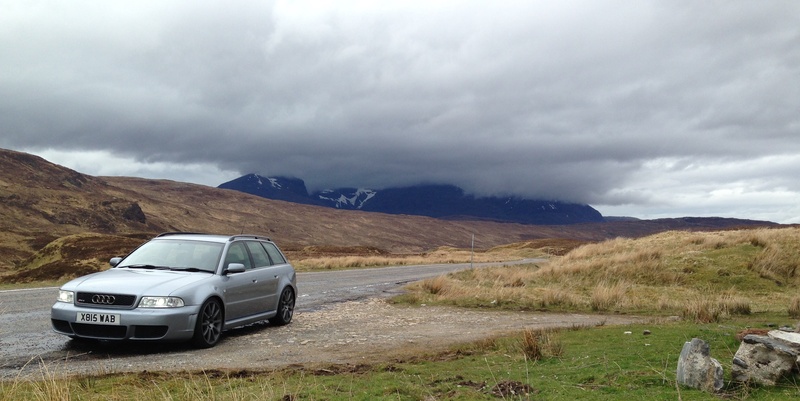 The much discussed Applecross road was great fun ( we went up and down several time just for the fun of it) and we met some great car and bike people along the way too. There are loads of options for places to stay and or eat but definitely best to book in advance. We got distracted a few time and went "off piste" just to have a look at places that caught our eye on the map. We swam in a beautiful white, sandy bay near Arisaig for instance. i would recommend a decent road or O/S map and a compass as mobile signal is very patchy plus a couple of spare gallons of fuel carried onboard . We never needed the extra fuel as we kept topped up every time we got to half a tank. However we did come to the aid of one biker and one couple in a Robin Hood kit car whose fuel usage had caught them out. Well worth the effort both for the roads and the scenery alone, but the car and bike people we met were a great attraction also. Well that is a nice positive response , to be honest i was expecting complaints about the state of the roads and zero tolerance traffic cops , would be fun to it backwards mind .... i should do it as its on my doorstep , (Northumberland) would like to do the trip with a few others preferably but in a relaxed way stopping and going off the route to explore places etc. Enjoy the trip in June which way round did you already do ? I lived in Inverness for years and didn't do the whole run in one go but bits of it over the years. The West Coast of Scotland is absolutely stunning and my advice would be to do the run around April as it's reasonably tourist free and everything is sort of waking up for the new season. The road down the side of Loch Maree is amazing but be warned, dibble know that it's like gods racetrack and on the wrong day do get a lot of scalps, plus the court in Dingwall is reknown for harsh penalties so be careful. I'd highly recommend it, even when the weathers miserable it still has an appeal and generally in the Spring the weather changes hourly! If you plan going for evening strolls then take plenty of midge repellent they really are a scourge! 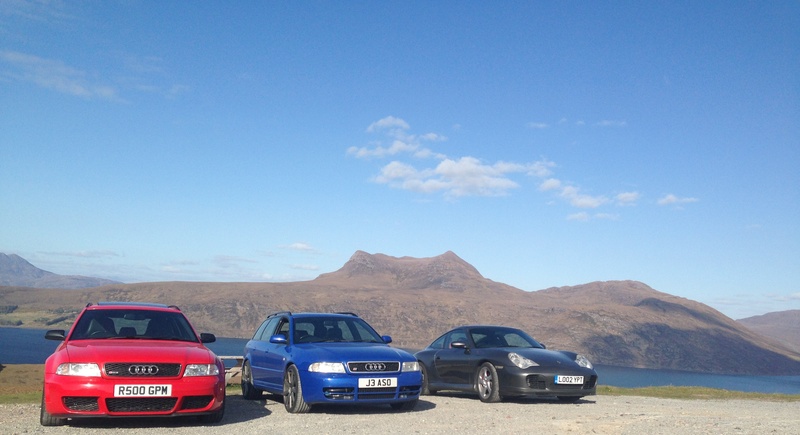 We went clockwise from the start first time, so from our start we went Skye/Ullapool/John o Groats. Good point about the midges. They don't seem to find me palatable but loved my wife to bits until we got some anti midge lotion slapped on...... Then even I wouldn't go near her! also check out www.stevecarter.com for some stunning pics and all round petrolhead. Nah - its a rubbish route with bad roads, no views and tons of speed cameras. Best to stay in SW of England or Mid Wales. Cheers Nick .. GAZ thanks for the links ill take a look later on. One thing I forgot, if your into looking at the Aurora Borealis then this is the perfect time of year, unfortunately you can't book them but they are one of the most amazing things to see. End of March beginning of April is good. Also remember to take a spare 10 ltrs of fuel, just in case! Done many bits of it but not the things as whole. I fear it has almost become too popular now as the attraction used to be that it was relatively quiet roads so you did get to have a proper blast. If its more of a touring type thing you want then you should be okay, plenty of places to pass and most people are aware on the single roads. 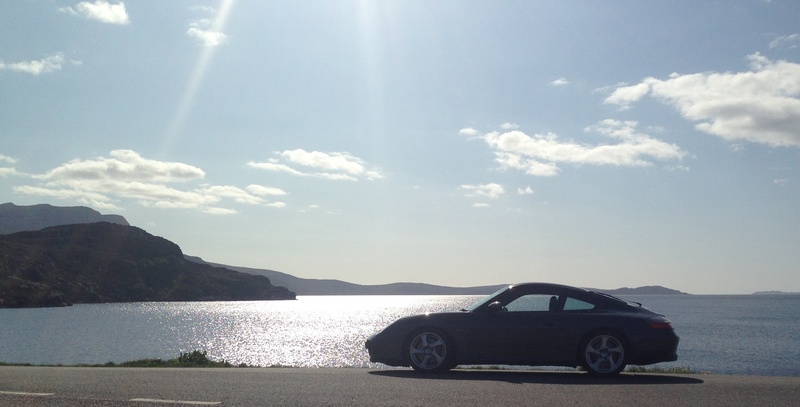 The road conditions are fine for 911's. Just watch when you pull into laybys / small car parks though for unevern bits and stones. Scenery is stunning in all weathers (fog aside). Whole area is set up for tourism so loads of cool little B&B's to be found. If your feeling adventurous then camping is also good, some amazing places to stop with served sites. I suppose the main thing is respect the locals and watch out for plod (unmarked) but they do still seem to be in small numbers. Overall it has to be done, everyone that I know that has been to that area is stunned by how amazing it is, check out the Evo mag COTY when they were up, sums it up perfectly. Some photos over the years. We did it last year Keith. Nice scenery although after 3 days of it I got a bit bored. Sea, sky, hills... sea, sky, hills. It's ok for us northerners but if I lived down south I'd much rather spend a day blasting through France to get to the Alps, rather than a day blasting through Blighty to get to the NC500. I think everyone should do it once but once is enough for a few years. Whenever I've been to France, Switzerland or Italy I'm like "Got to do another, got to do another!". I didn't get that feeling with the NC500, although I will take the wife up one year to do a sedate sightseeing version of it. I must add though, I was a passenger not a driver and I don't make a good passenger these days. I'm happier in control. I think by the sounds of it it would be best to go late spring to miss the traffic, there would be nothing worse than being stuck behind other cars all day , overall sounds like something i should do and camping isn't out of the question for me as long as i can get scrubbed up and fed in the morning , might even take my fly rod . Marky i love that kettle ( the real one ! guards red is it ? ) i think as you say being a passenger wont help at all , for me decent weather will play a big part as i hate the wind and rain, i can see myself doing this at some point . Yeah I wouldnt enjoy it as a passenger but then I never do. For me its 2 hrs away so good to get over there. If I was down south Id defo being the Alps stuff. I tend to agree, the NW coast is really nice and if the weather is good it is stunning but pales in comparison to the Alps. Keith, we did it 18 months ago. Many must see locations but basically, however you do it, it is fantastic. Can chat about it on Sunday. Did it a couple of years ago on my motorbike. Its fantastic with breathtaking views and decent beer along the way! You should keep an eye open for bikes, in June there are going to be many. I've booked up to do it in June which I guess is one of the busiest times judging by how some B&B's were full. How bad is the traffic likely to be in reality - enought to spoil the driving experience and does it make any difference if you drive it anti-clockwise? Thx. Usually do it once or twice a year, but as popularity grows the availability of accommodation drops each year it seems.